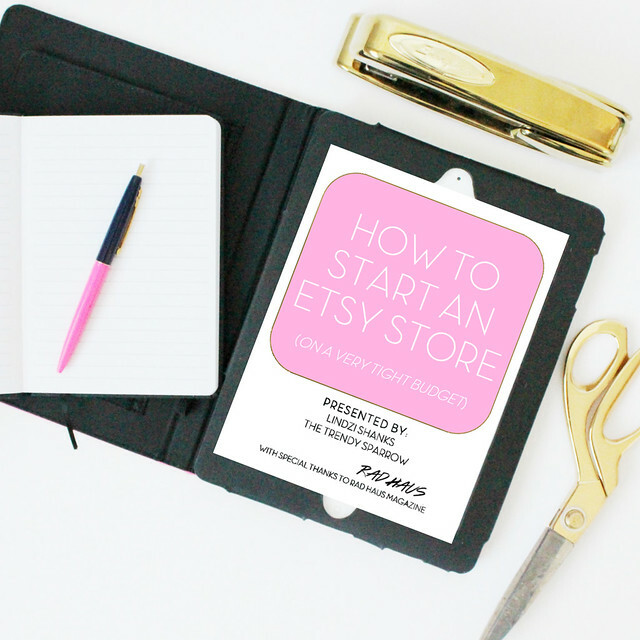 As some of you may know, I recently taught a webinar for Rad Haus Magazine on the topic: How to Start an Etsy Store on a Really Tight Budget. Part of the requirement for teaching the webinar was creating a small handout for all of the participants to keep and refer to later. It turns out a little more to saw than a small handout would allow because...I ended up writing a 40 page eBook on the topic! You can now purchase my eBook on my Etsy store for only $10 as an immediate digital download. This eBook is catered to those who want to learn how to have a successful store even if they do not have a lot of start up costs to really get the store running. It houses thought provoking information that will help you to use all of the available resources you have to build your own amazing Etsy/commerce empire without spending a lot of money. 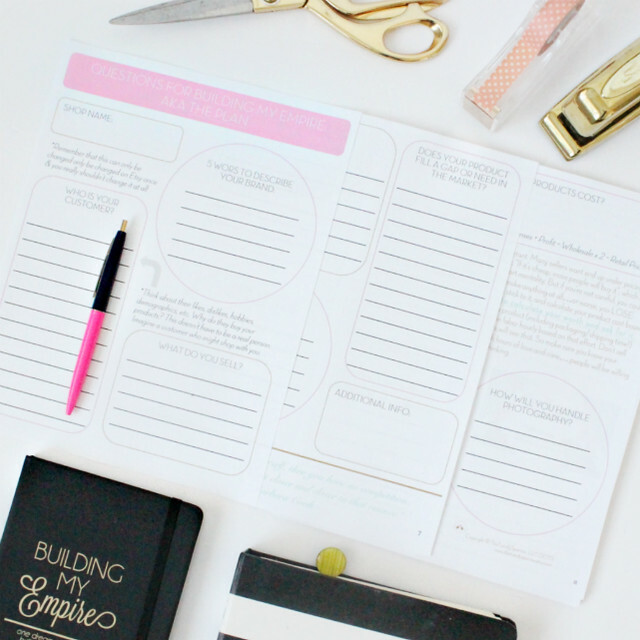 My eBook is broken down into 5 parts: 1) creating a plan, 2) utilizing resources, 3) how to the 3 'Bs' (borrow/barter/blogger), 4) free resources, and 5) putting your plan into action/worksheets. 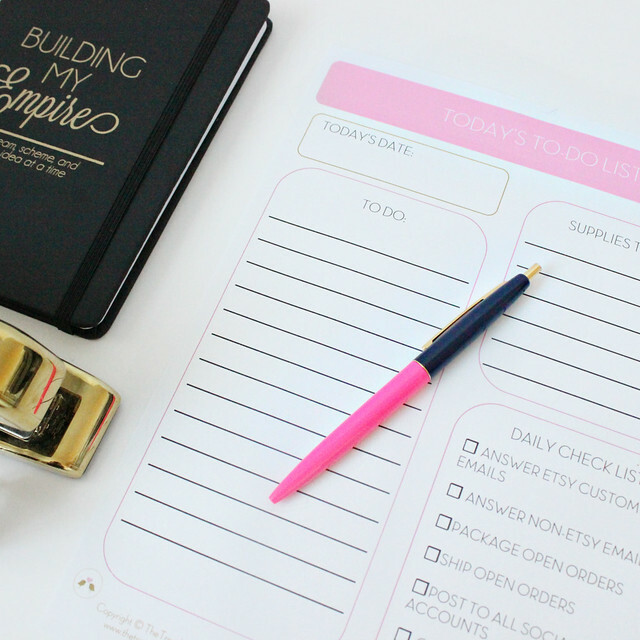 Readers will learn how to tackle large tasks such as growing your social media following, taking professional photos, and creating a business plan for your store all while sticking to a tight budget and keeping costs low. 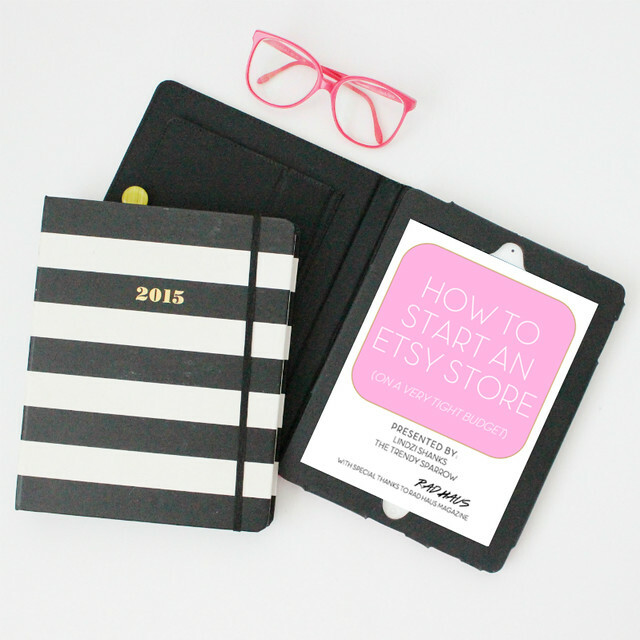 But the eBook is about more than just reading how to start an Etsy store...it's about DOING. The eBook comes with lots of worksheets to help readers turn their new knowledge into action. Staying true to my love for helping other boss ladies and giving back, a portion of all sales of this eBook will be donated to charities around the globe dedicated to empowering young women. I've already sold over 50 copies, and I cannot wait to see all of the amazing Etsy empires that the readers create after reading the eBook! 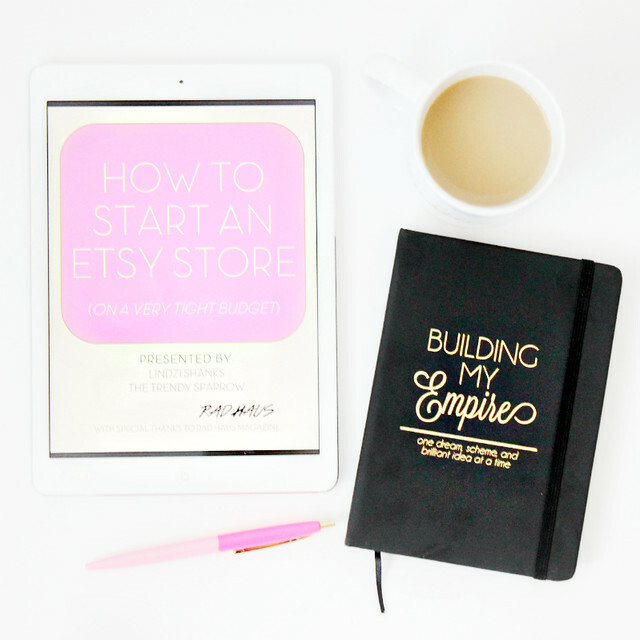 If you're looking to start an Etsy store, but your funds are limited (or even if they aren't), then please snag a copy of my eBook. The information and tools could be the extra boost that you need to get started. Etsy™ is a trademark of Etsy, Inc. This book is not an official Etsy publication, nor is it endorsed by Etsy, Inc.